In the month of July I decided to cut out refined sugar and crap food in general, I really wanted to try to start eating better. 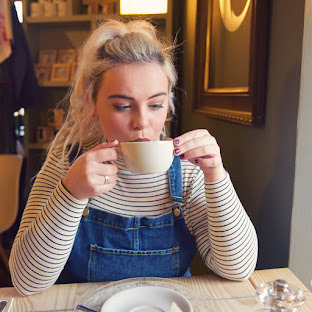 After reading books like Deliciously Ella and Get the Glow by Madeline Shaw I was really inspired to try out a healthier lifestyle and a mainly plant based diet, making substitutions for certain ingredients etc. After a month I lost half a stone which I am so pleased about. I was feeling totally minging in June and I think this is what my body needed. I will be keeping up my healthy lifestyle, I might do a post on all the changes I made, some recipe suggestions, tips etc? Let me know! 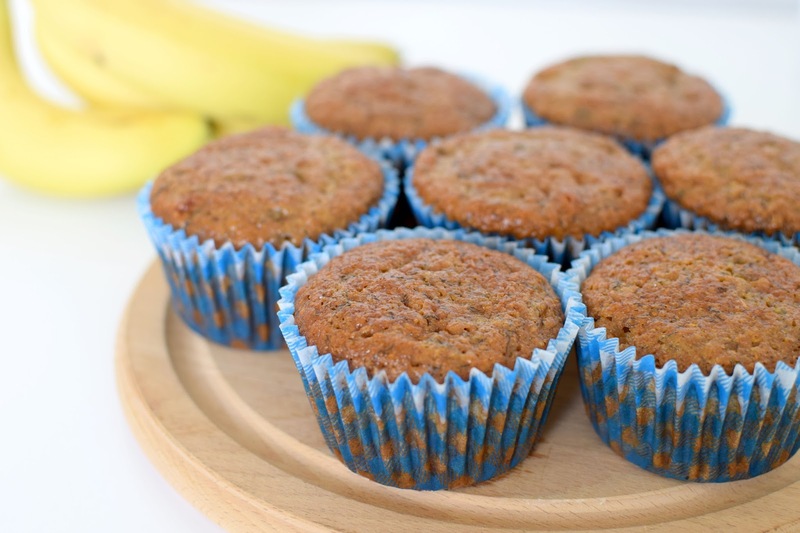 Anyway if you read my blog often you'll know I love my naughty baking recipes, I will still make cheat bakes now and again, but for now I've got a healthy banana muffin recipe, free from all refined sugars and all the bad stuff! 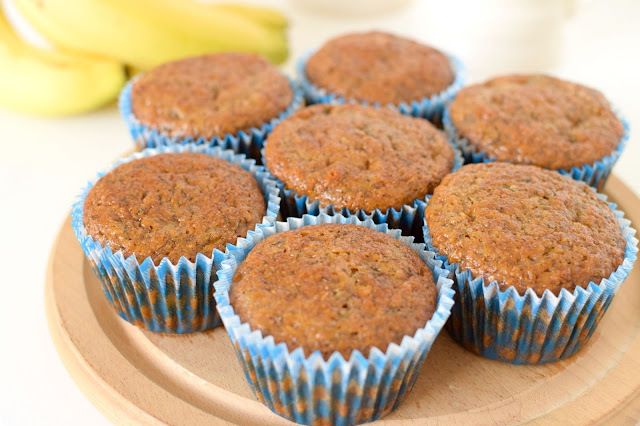 Although not a classic banana bread recipe this honestly tastes exactly the same, super moist! 1. Preheat the oven to 180 degrees C. Line muffin tin with cases and set aside. 2. In a microwavable bowl, melt coconut oil, set aside. 3. 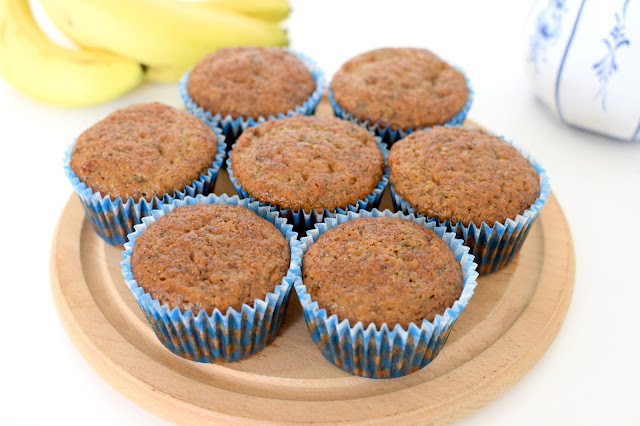 In a mixing bowl, whisk together the mashed bananas, egg, yogurt, coconut oil, almond milk and vanilla. Pour the flour, maple syrup and honey on the top of the mixture then sprinkle on the soda and salt. Whisk everything together, just until smooth. 4. Divide the batter between the 12 muffin cups (you can fill them all the way up to the rim) and bake for 20 minutes or until the tops are a deep golden-brown and they spring back when you gently press the tops. 5. Let cool slightly and serve. 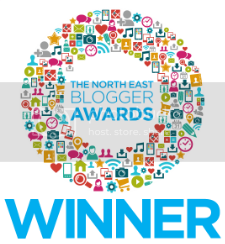 If you enjoyed this post I would love if you would consider nominating me in the North East Blogger Awards under Best Looking Blog, details here! These look so yummy, I'm definitely going to be trying the recipe!